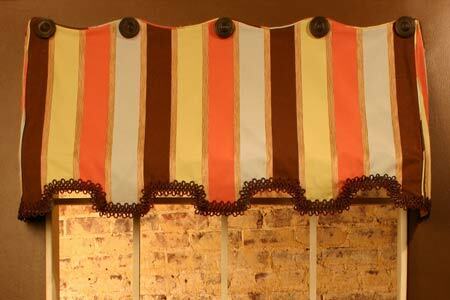 This charming awning valance works great in kitchens, baths, and kid's bedrooms. 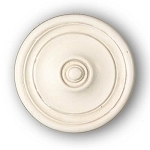 The valance is attached to the wall using decorative knobs. 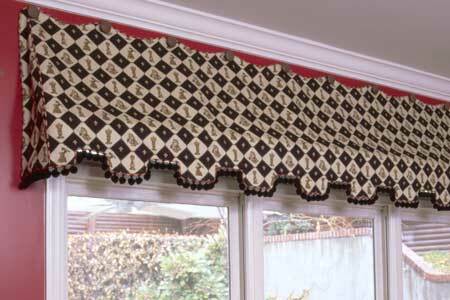 Instructions are included for constructing a PVC frame for the bottom of the valance.